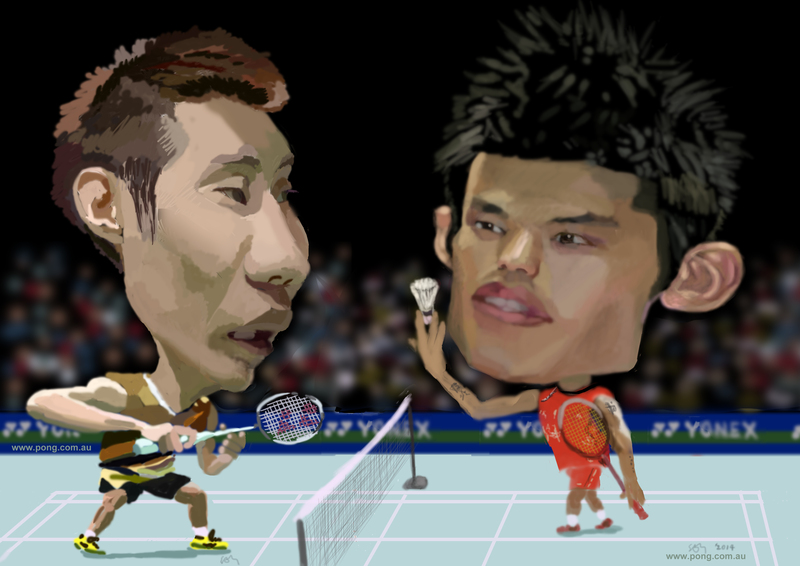 This "Lee Chong Wei vs Lin Dan" caricature was done from photos on digitizer tablet. It took about 2 days. caricature finish, which is both time saving and easy on the eyes.